If they but taste of chocolate. I have to admit I have a soft spot for chocolate. 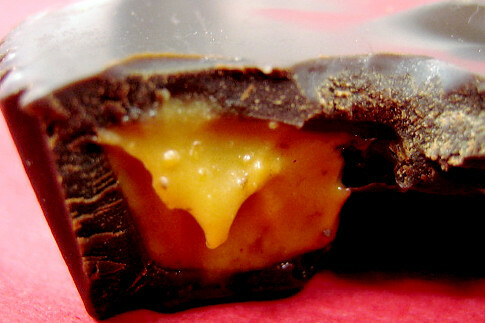 Good, dark chocolate filled with a deep rich caramel and sprinkled with a little fleur de sel. Makes me swoon just thinking about it. For some people chocolate and travel might not seem like they belong in the same sentence, but since I’m looking for interesting places to drag the rollie anyway, I figured why not just poke around and see what comes up when you google travel + chocolate. Turns out – quite a lot. Everybody knows about Hershey, Pennsylvania and the huge amusement park, tours and hotel built around that iconic American chocolate. Not my favorite candy and to be honest, riding the trolley with hundreds of families through the Great American Chocolate Tour, (a simulated factory tour) holds little appeal. So, moving right along then to the real chocolate and some really unique and interesting venues that cater to sharing history, art, and hands-on, finger-licking knowledge about this amazing treat. Here are a few I think might be worth a stop if you happen to be in the neighborhood. Musee Les Secrets du Chocolat in Geispolsheim, France. This magical space comes complete with a theater, tea room and gift shop that sells chocolate pasta, chocolate vinegar, and antique chocolate molds. 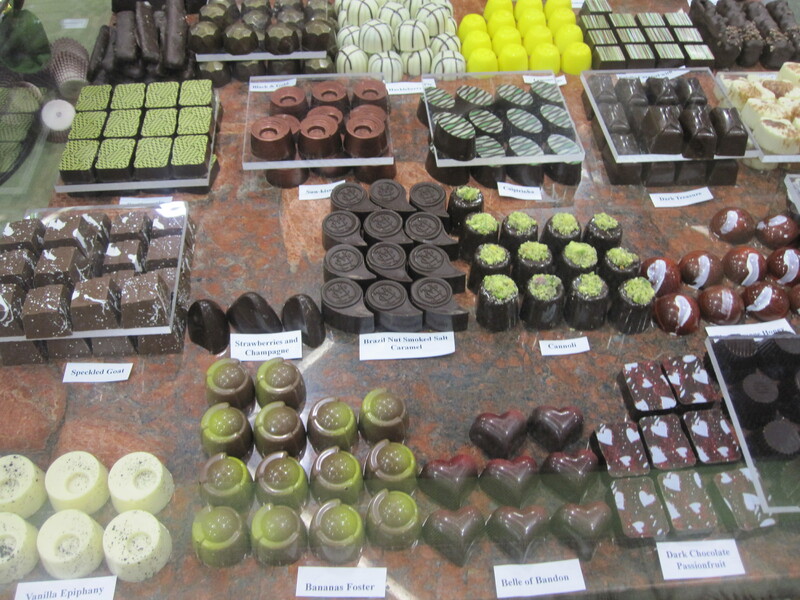 It is also part of the Chocolate Road of Alsace (Road Trip!) a group of 50 chocolate shops and artisans who love to share their expertise and unique regional specialties when you stop in for a visit. Choco-Story Chocolate Museum in Bruges, Belgium. Learn all about the health benefits of chocolate and don’t miss their quirky collection of chocolate tins that pay tribute to the royal family. The Cologne Chocolate Museum; Cologne, Germany. 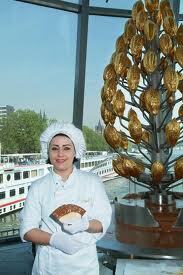 This futuristic ode to chocolate is located right on the Rhine River. With three full floors to wander you’d do well to follow the guided tour. Their famous chocolate fountain is the main attraction. Panny’s Amazing World of Chocolate, Phillip Island Chocolate Factory; Newhaven, Australia. This over the top chocolate themed attraction is geared for a little tongue in cheek fun with your chocolate – check out the statue of David replicas made entirely of chocolate, the entire chocolate town and the chocolate waterfall. Museu de la Xocolata in Barcelona, Spain. 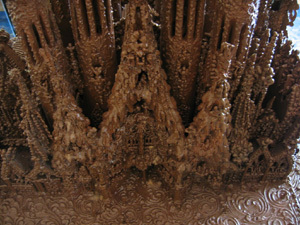 Gaudi in chocolate! This small museum opened in 2000 on the ground floor of an old barracks. Tucked away in the back is a delightful chocolate cooking school. You’ll see everything from serious religious works to whimsical cartoon characters. The sculptures are so impressive you’ll forget they are chocolate. 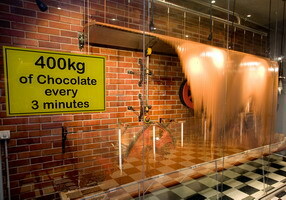 Nestle Chocolate Museum in Mexico City, Mexcio. This futuristic building was reportedly built in 75 days and is an exhibit in itself. Mexican chocolate is unique. Sometimes a little earthy, almost gritty, and not always my favorite. 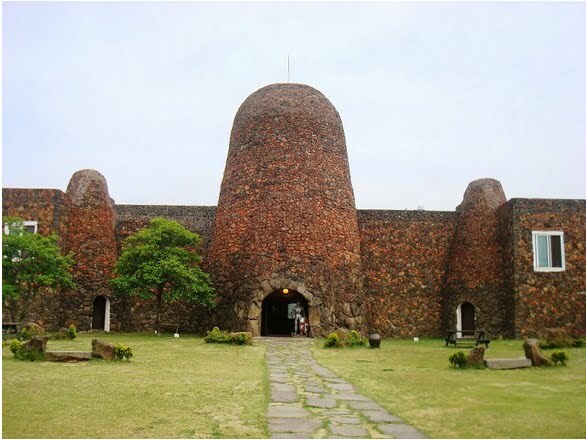 Chocolate Museum; Jeju-Do Island, South Korea. Honestly, the first place that comes to mind when I think of chocolate is not South Korea, so this museum caught my eye initially because of its location. They have a “Bean to Bar” showroom, chocolate workshops and an art gallery, but one of the biggest attractions is the working San Francisco-style trolley. 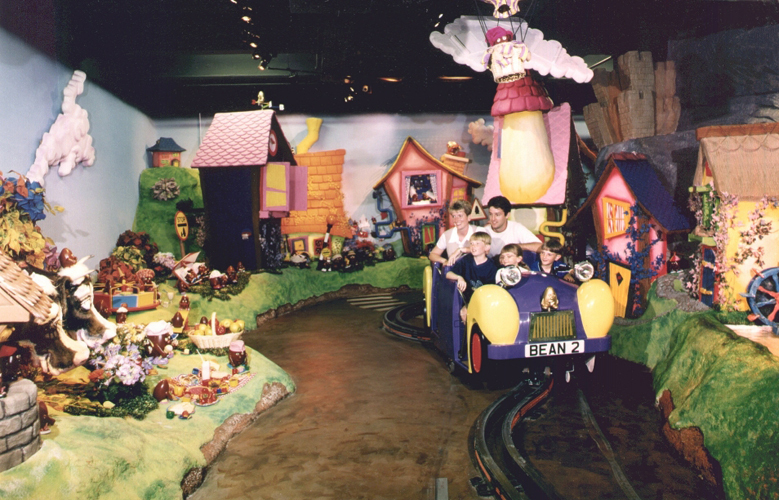 And finally, because I grew up on their strangely addicting sugar filled Easter eggs, there’s Cadbury World in Birmingham, England – Where chocolate comes to life. Need I say more? I think not. Portland has its own annual Festival of Chocolate. Hubs and I have gone a couple of times. Our favorite is the booth that makes the Godiva Chocolate Martinis. Oh baby! Have a favorite chocolate shoppe or museum to add to the list? I’m all ears.